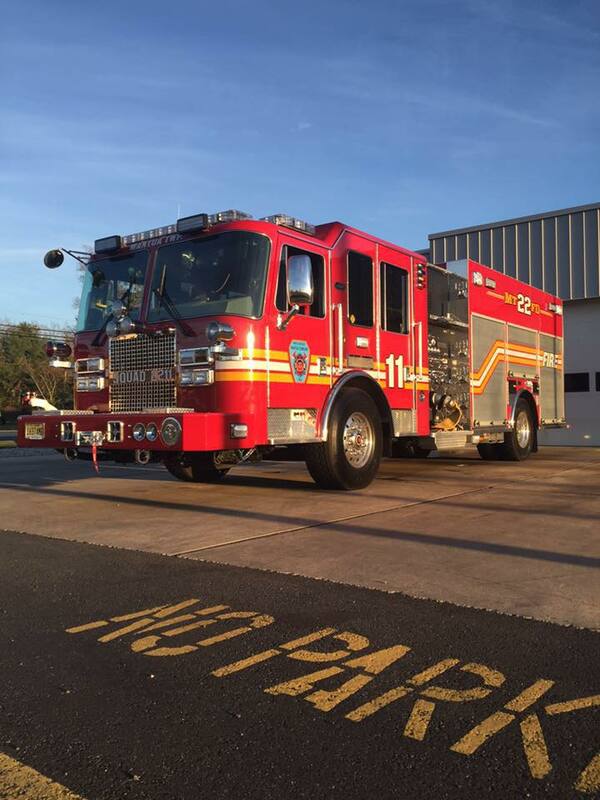 Squad Company 2211 is a 2016 KME 2000 GPM (Hale) 770 Gallon Custom Rescue Pumper. Squad Company 2211 is equipped with 1000 feet of 5 ” supply, 300 feet of 2 1/2″ dead lay with a gated wye, 200 foot 2 1/2″ attack line with a smooth bore nozzle, 200 foot 1 3/4″ hand line with a smooth bore nozzle, 300 foot 1 3/4″ hand line with a smooth bore nozzle and a 100 foot 1 3/4″ trash line with a combination nozzle. Squad Company 2211 is a 6 man cab equipped with Scott SCBA, a Thermal Imaging Camera, Mulit Gas Meter and natural gas detection device. Squad Company 2211 has all rescue capabilities, including Hurst KL-32" spreaders, one JL-500 Cutter, one MOC Cutter, one MOC Combination tool as well as one T-59 Ram and one T-41 Ram. The Squad is also equipped with High pressure and low pressure air bags as well as Junkyard Dawg and Paratech Gold Series Stabilization. The Squad Company is also equipped with flammable liquid extinguishing equipment as well as numerous extinguishers.